Final year PhD student researching playwriting from archives with a focus on intermale sexuality and temporal intersectionality. 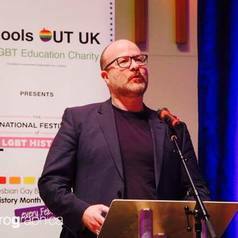 LGBT History Month UK Playwright in Residence since 2014. Interest include: LGBT+ representation on stage and screen, playwriting, writing from archive, representations of time and temporality in drama, queer history, British theatre post-1950.